This Feb. 20, 2018, file photo shows CDG President Salvador Perez's lapel and fashion detail as he attends the Costume Designers Guild Awards at The Beverly Hilton Hotel in Beverly Hills, California. The organizers of Time's Up say the movement to eradicate discrimination in the workplace will have a presence at Sunday's Oscar show, but has no plans for a red-carpet dress code. Shonda Rhimes, Ava DuVernay, actresses Laura Dern and Tessa Thompson, producer Katie McGrath and attorney Nina Shaw talked about the movement's progress and next steps with a small group of reporters Thursday. 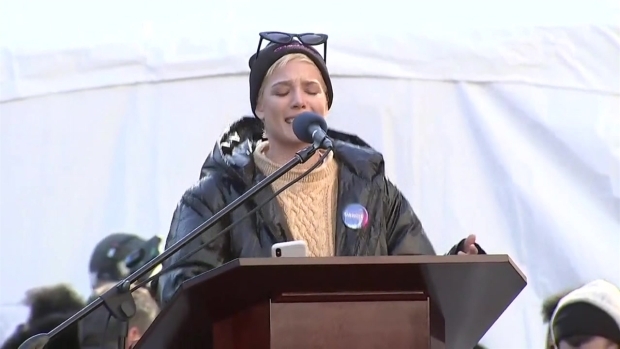 They stressed that while Time's Up made a splashy appearance at the Golden Globes earlier this year, with most women wearing black and several actresses walking the red carpet with activists, the movement is bigger and broader than awards shows. Rhimes said the effort "was launched on the red carpet, but was never intended to live there." 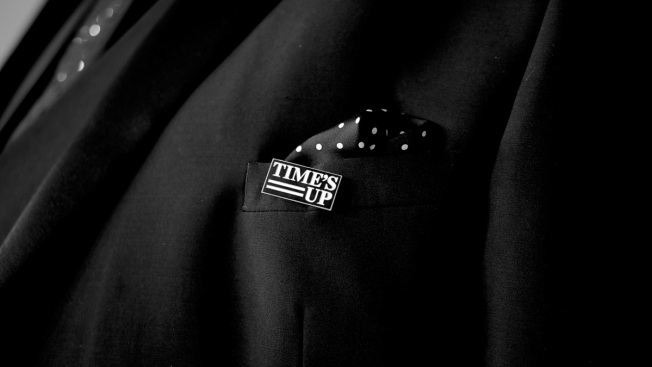 Time's Up has amassed a $21 million legal defense fund for discrimination victims.